You know those times when you really need cash and don’t really have a lot of options. Applying for a bank loan needs standard criteria, which includes owning a bank account and having a good credit standing. This narrows down your options especially if you don’t qualify for bank loans. You may have heard of car title loans. They are quite popular now, but do you know what they are all about?. This article answers a few frequently asked questions about car title loans. Q1: What is a car title loan? 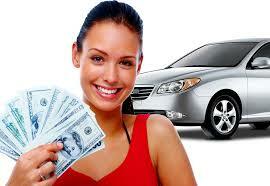 An online car title loan is a loan obtained with the use of the borrower’s car as collateral. It could be any kind of automobiles such as motorcycles or trucks. The borrower gives the lender the original auto title and a copy of the vehicle’s keys in exchange for your loan. If the borrower pays up the loan, the vehicle remains his. However, if the borrower cannot repay the loan, the vehicle becomes the property of the lender and he may decide to sell it to recover the outstanding loan amount. A car title loan allows the borrower to continue using the car as usual while loan repayment is being made. Thus, the only thing the borrower is required to do is keep paying the loan and the interest on time. Before you know it, the car is fully back to the borrower’s ownership. Yes, you can. This is only possible if you have enough ownership of the car at the time to facilitate the loan qualification. If the car has been used as collateral for another sort of loan, it will depend on how much percentage of the car ownership you actually own in order to use it as collateral. The best thing about car title loans is that the loans are dealt with as personal loans, meaning that every case is unique, depending on the agreement that the borrower has with the lender. The lender will consider if the borrower is able to repay the loan and if the car qualifies to be used as collateral. Q3: How high is the interest rate? Car title loan interests depend on the lender who is lending you the money. It’s all about how the lender has set the rates. However, they lay up to about 20% of the money lend. Moreover, the lender will inform the borrower about the interest fee and not the yearly cost of the car title loan. It is easy to know how much you need to pay annually by using the interest rate given. Say, you pay about 25% interest rate. Then the APR will be 300%, meaning that you will pay back 300% of the money borrowed by the end of the year. The interest rates of car title loans are quite steep. However, a car title loan is quite flexible which makes repaying the loan quite easy. It should be noted that with the flexibility it possesses, the ability to negotiate the terms of the loan is very easy, assuming a friendly relationship has already been established between the lender and the borrower. Q4: How much can be borrowed? The amount depends on the value of the car and the condition it is in when you take up the car title loan. Typically, the more expensive the car, the higher the chance of getting a larger loan. The condition of the car can be used as a bargaining point for the amount of loan you can get. Essentially, car title loans can be as high as 50% of the car’s current market worth at the time of the loan application. This percentage could still go higher, depending on the terms the borrower and the lender have established among themselves. Q5: What is the term of loan repayment? The duration of loan repayment in most cases is established by the lender. It could range from between a couple of months to a few years depending on the terms that were established when the loan was taken. The duration is negotiable and is designed in a way such that the borrower is able to pay up without any financial pressure. Duration will depend on the loan amount and the borrower’s ability to repay. It is all documented in the contract. The duration is never constant as it varies from one person to another. Q6: Are credit scores needed? The lender has little or no use with the borrower’s credit scores. Reason being the borrower is using his vehicle as collateral. This means that the credit score of the borrower does not play a part in the loan approval process. It’s all about the car’s condition and its value in the market. Q7: What happens if the borrower can’t repay the loan? There are a couple of options if this happens. You may decide to roll over the loan. This lets you have more time to repay the loan but rolling over will incur additional fees and a new interest rate. You may also take up another loan to repay the current one though this is extremely risky as it will plunge you into bigger debts. If everything fails, the lending company will take your car and sell it to recover the outstanding money. The concern of the company here is getting its money back and not selling your car. The company may also give you a couple of alternatives to help you pay up. Q8: How to apply for a car title loan? Applying for car title loans is probably the easiest among other kinds of loans. You could call, write to the lending company or just apply online to get the loan. They will then inspect your car and then sit down to discuss loan amount, duration of payment and other fees, charges and terms of the contract. It’s always important to pay attention to the fine print of the contract. Q9: Can you repay earlier? This is not a problem for most lending companies. The borrower is allowed to pay off the loan earlier. 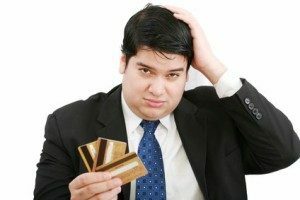 Some companies, however, may require you to pay a prepayment penalty before you can clear the debt earlier. However, this depends on how the lender has tailored his policies. This type of loan doesn’t need a good credit score to get one – it’s all about the condition of the car and the value it commands in the current market. The loan also is very easy to obtain. The only problem with a car title loan is that you may lose your car if you are unable to repay the debt. This is probably the only disadvantage of car title loans.